What a great joy! We have another Mother in the community! Enjoy these photos from Mother Iliana's Life Profession as a stavrophore nun on Dec. 8. 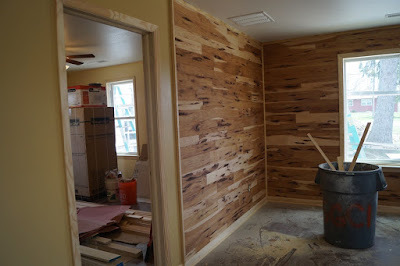 Photos taken by Tara Marcic. And enjoy this short highlight video, produced by David Bratnick at Horizons Media. 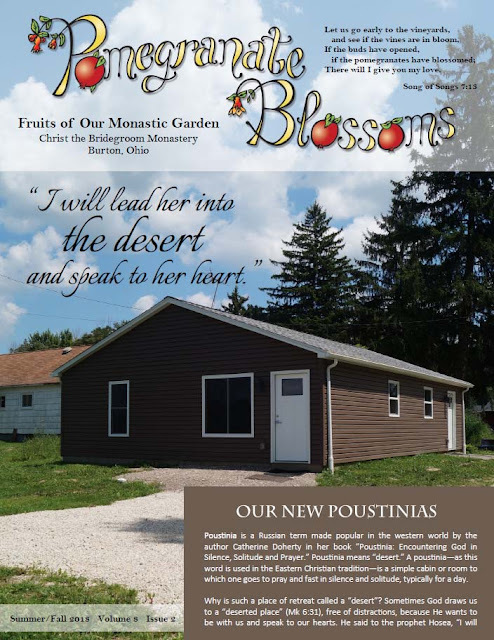 Enjoy our winter issue of Pomegranate Blossoms. 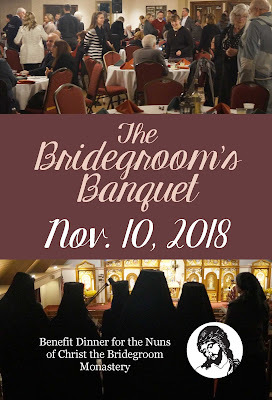 Read some quotes from our video, Christ our Bridegroom, learn about our Bridegroom's Banquet, see photos of the problem spots in our chapel that we hope to repair and renovate soon, and more! We pray that you have a beautiful and peaceful week of spiritual and material preparation for the celebration of the Nativity of Our Lord! Donations will go towards the general operation and maintenance of the monastery for our daily life of prayer and hospitality, and also towards the renovations and repair of our chapel. 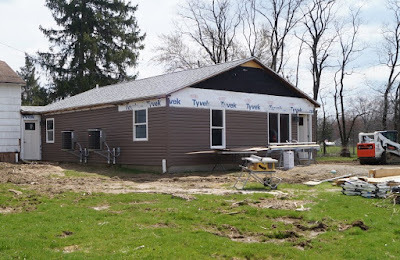 Our chapel has been in need of repair for a while, and now that the poustinia project is just about finished, it’s finally time to get started! 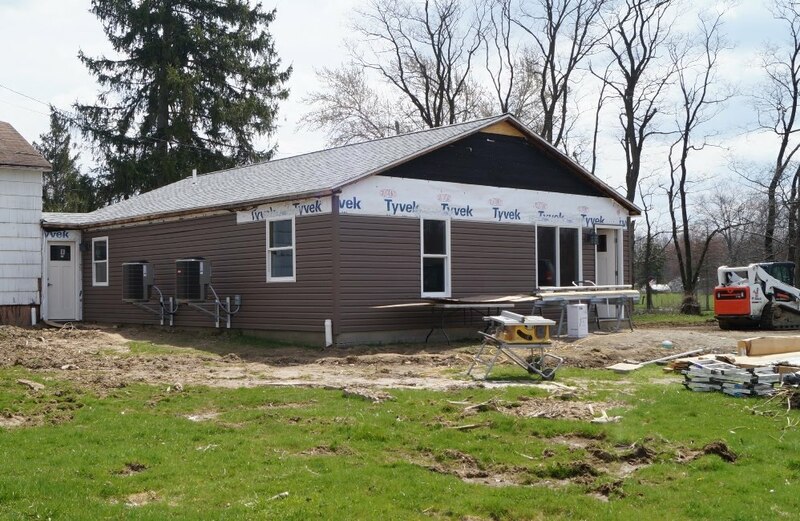 Elements of the project include: waterproofing and mold-removal in the basement, new siding and roof, new gutters and downspouts, new bathroom, and new lighting. Enjoy the slideshow below to see the "before & after" photos from our recent poustinia project, as well as photos of chapel problems that we hope to repair and renovate with your help. 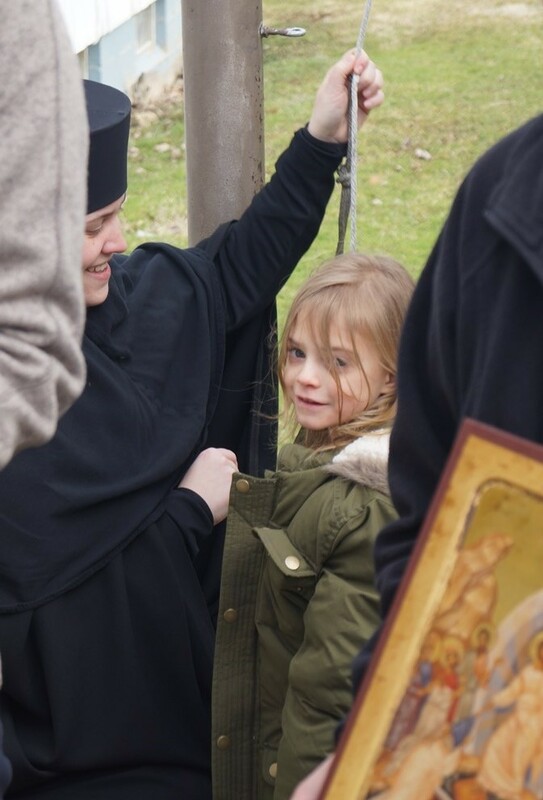 Thank you for your support of our monastery and for your help in making a safer and more beautiful place to praise God! 1. We are happy to announce that we can now receive online donations! Online options also include pledges and automatic monthly donations. After several years of discernment and experience in living the monastic life as a dokimos (postulant) and then as a rasophore (“robe-bearer”) nun after her tonsure, a nun may request to make her life profession and commit her whole life to Christ as His bride. If she is determined to be ready to make this commitment, she is received as a stavrophore (“cross-bearer”) nun during the monastic profession service. At the beginning of the service, she is led up through the center of the church in a white robe (symbolic of her baptismal garment), barefoot, with her head uncovered and long hair flowing. 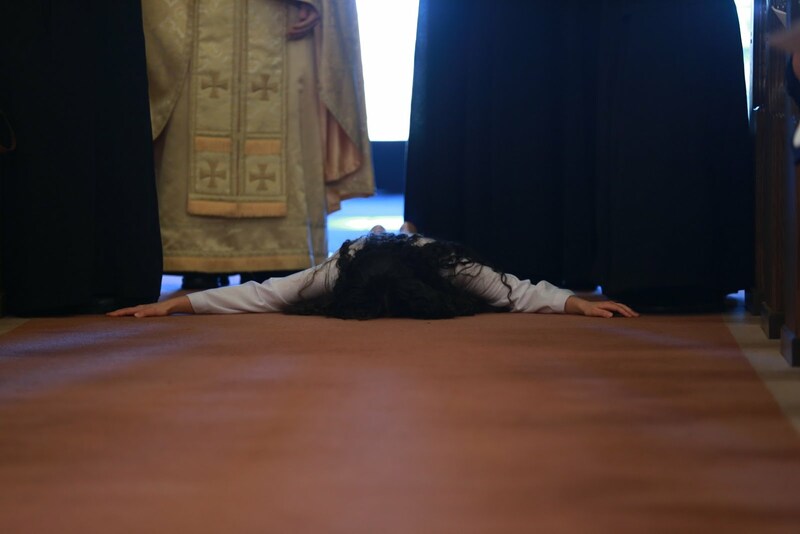 She makes three prostrations as she walks up through the church, symbolizing the three immersions in the baptismal font. As she walks and approaches the bishop standing before the Royal Doors, the people sing a troparion about the return of the prodigal son to his father. After the final prostration, the bishop helps her up. He then asks a series of questions to determine her free will, her intentions, her willingness to renounce the things of the world, and her willingness to embrace poverty, chastity, obedience and all the “sorrows and restraints of the monastic life for the sake of the Kingdom of Heaven.” She answers, “Yes, Master, with God’s help.” The bishop then recites a powerful catechesis (instruction) about the monastic life and beautiful words of encouragement, such as, “May He be with you when you fall and when you rise up again, consoling and cheering your heart with the comfort of His Holy Spirit.” The bishop then prays to God that He may accept her and help her. The bishop then asks her to give him the scissors that he will use to cut her hair. She must hand them to him three times to demonstrate her free will. Then he tonsures her (cuts her hair) “as a sign that she has renounced the world, and everything that is in the world, and for the restraining of her will and of all fleshly desires.” The bishop then blesses each piece of the habit one by one with prayers that explain the significance of that piece of clothing, and she is clothed in each piece. 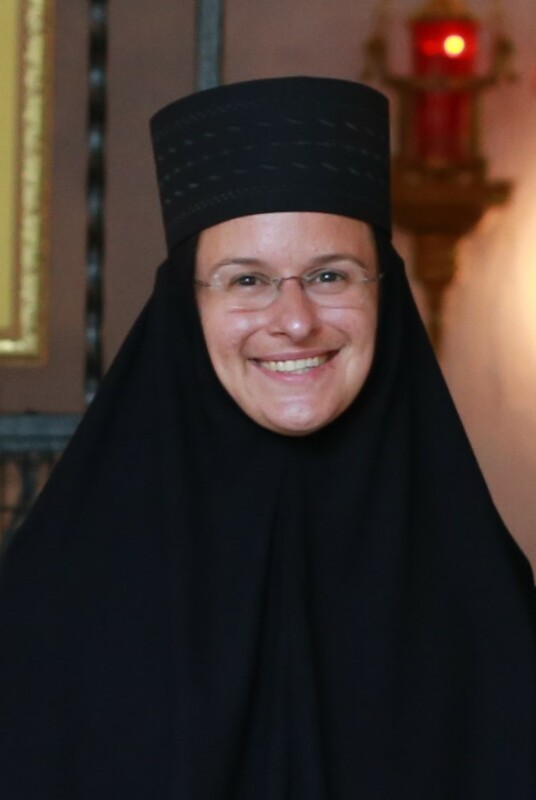 In addition to the habit she has been wearing since her tonsure as a rasophore nun, she also receives the klobuk (hat with veil), the paramandyas (a square of black wool embroidered with a red cross and the instruments of the Passion), the mandyas (cape), a hand cross, a 300-knot chotki (prayer rope), and a lighted candle. In Christ the Bridegroom Monastery the nuns also receive a wedding ring to symbolize their union with Christ as their Spouse. The nun is now led in front of the icon of Christ where she will stand holding her hand cross and lighted candle for the duration of the Divine Liturgy that follows, just as the newly baptized would do. 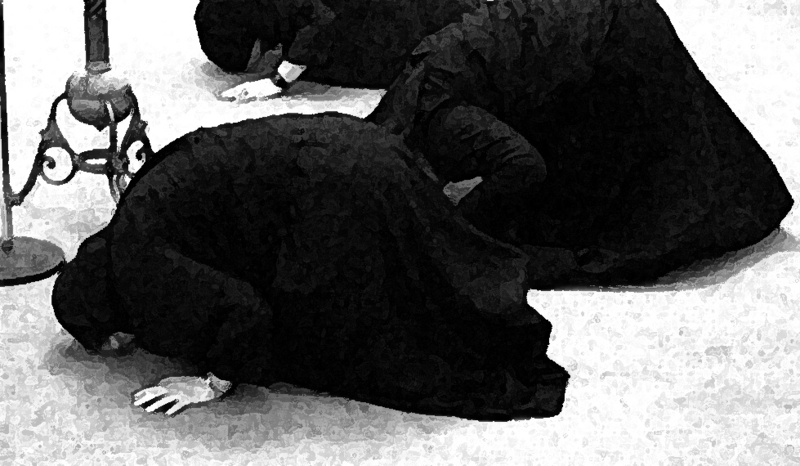 A stavrophore nun experiences the fullness of monastic life, sharing in the passion, death and resurrection of her Bridegroom. She is given the title of “Mother” to express the fruitfulness of her union with Christ. 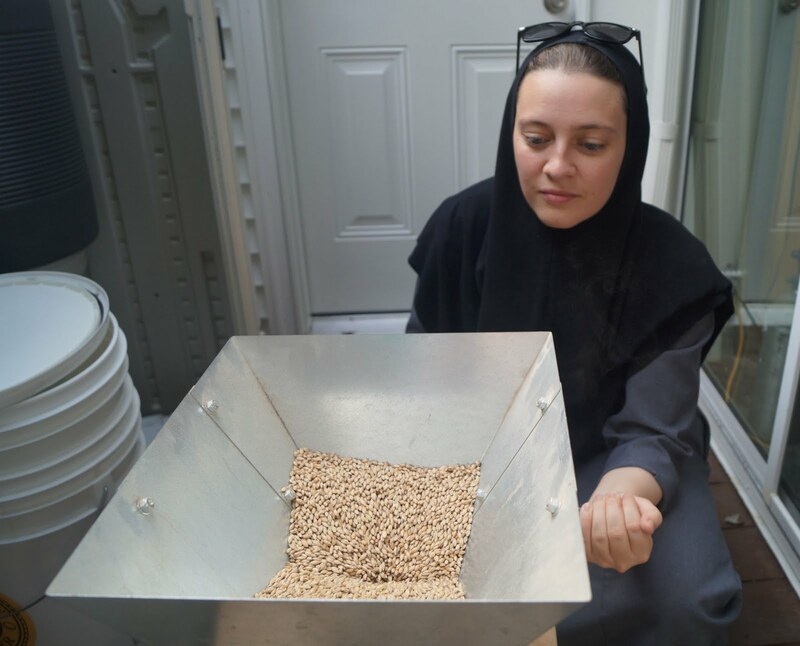 Before the nun is tonsured as a stavrophore she relinquishes all monies, possessions and property. 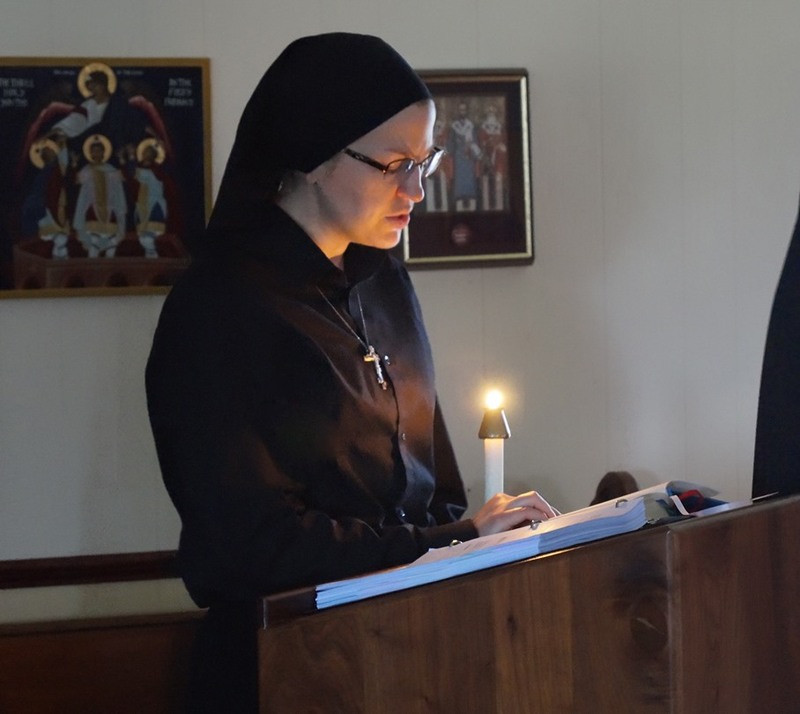 At this point, the nun is committed to remain for her lifetime in Christ the Bridegroom Monastery. 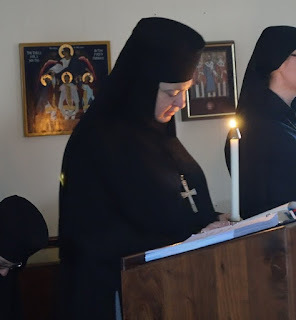 Many people ask, “Is the life profession the same thing is ‘final vows?’” Yes, but Eastern monastics do not make “temporary vows” as other types of religious communities do, so there is no need to specify that these are the “final” vows. 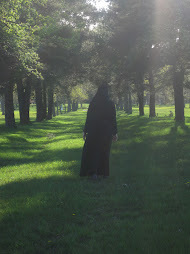 To read more about the stages of monastic life, visit the “Discerning?” tab. 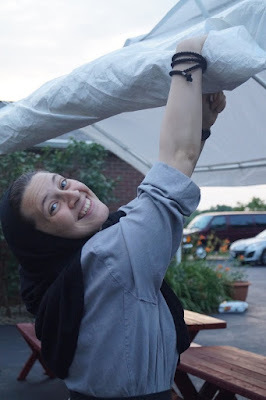 Please pray for Sr. Iliana as she prepares for this serious, yet exciting and joyful day! 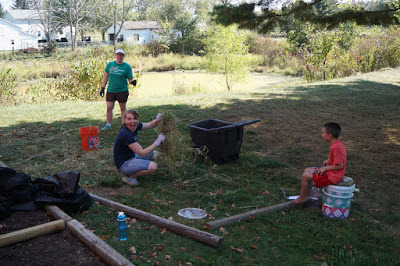 Join us for a day of outdoor and indoor work projects, prayer, food and fun at the monastery on Saturday, Sept. 29. Volunteers of all ages and abilities are welcome! The day begins at 10 a.m., includes lunch, and closes with vespers at 5 p.m. followed by a cookout. Come whenever available, and bring a side dish to share if you can. The monastery is located at 17485 Mumford Rd. Burton, Ohio. Please RSVP* by Monday, Sept. 24, to 440-834-0290 or christthebridegroom@gmail.com, so that the appropriate amount of food can be prepared. Banquet registration is now open! 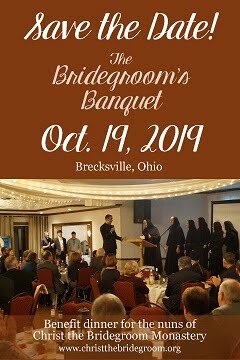 You’re invited to the “Bridegroom’s Banquet,” a benefit dinner for the nuns of Christ the Bridegroom Monastery, on Saturday, November 10, at St. Joseph Byzantine Catholic Church in Brecksville, Ohio. 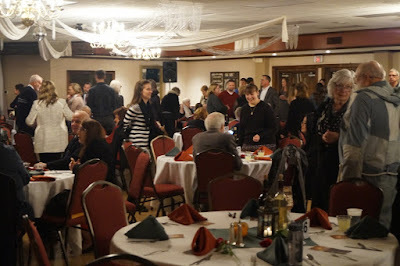 There is no cost to attend the dinner, but registration is required (by October 29). Adults 21 and older may attend. Enjoy a buffet dinner, entertainment and an evening with us and our guests. Learn more about us and our life of prayer and hospitality. Donations given at the event (or designated for the event and mailed in ahead of time), up to a total of $100,000, will be doubled by a matching donor!!! Register now using this form. 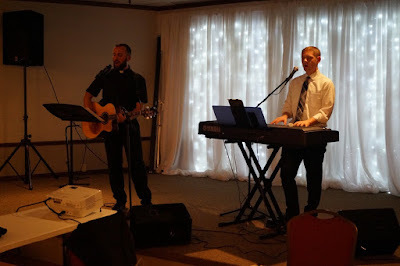 The schedule and more information can be found at our Bridegroom's Banquet tab. 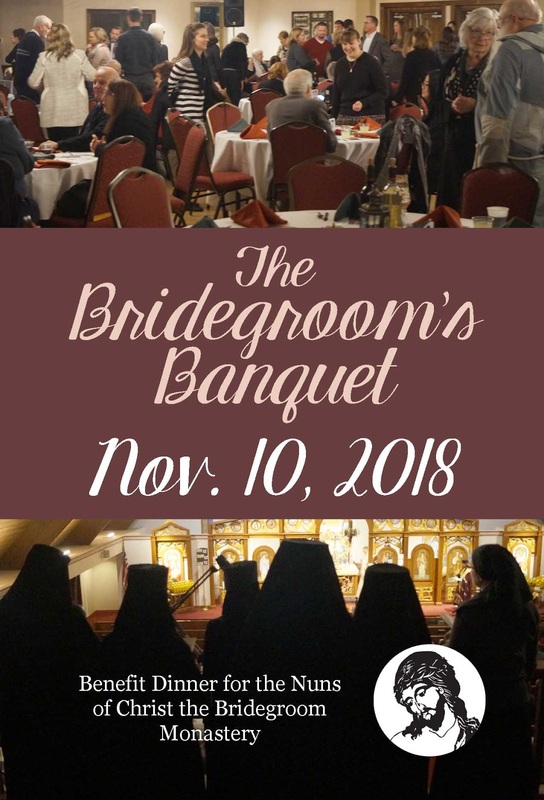 We hope to enjoy the evening with you on November 10! 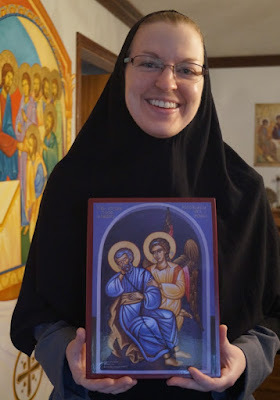 Learn more about our newly completed poustinias, find out how your donation can be doubled, and read about the books we recommend, in a new section called "From the Monastery Library"! 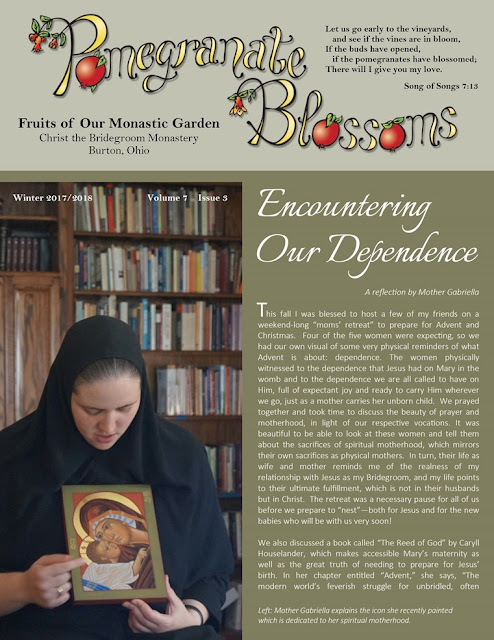 We hope you enjoy the most recent issue of our newsletter, Pomegranate Blossoms! 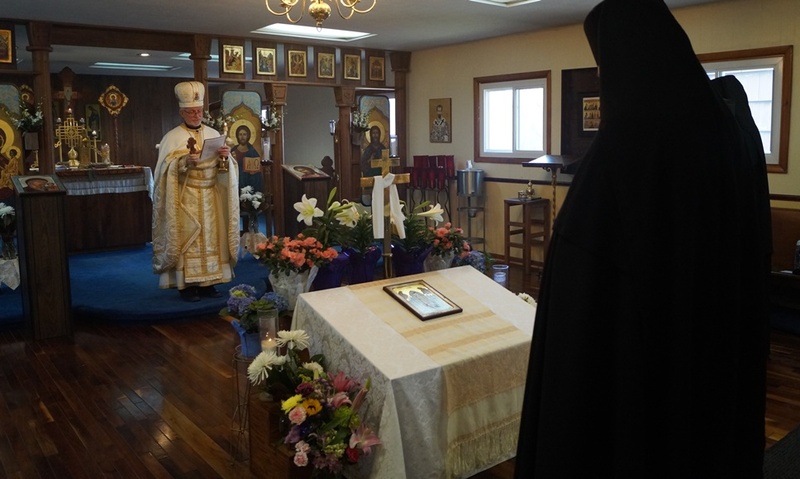 To view our Divine Liturgy schedule, visit our Liturgy & Events tab. To view our usual daily liturgical schedule, visit our About Us tab. Please be aware that changes are sometimes made to the schedule; please call ahead to check on the time. "You are to shepherd this flock in the manner of Jesus Christ, our Lord, who gave His life for His sheep..."
How grateful we are to our newly enthroned Bishop Milan for his willingness to leave his home country and come to give his life for Christ's sheep in the flock of the Eparchy of Parma! Bishop Milan, formerly the auxiliary bishop of the Archeparchy of Prešov, Slovakia, has served as the apostolic administrator of our eparchy for one year prior to being named bishop. We were so blessed to be able to witness his enthronement on Saturday, June 30, at the Cathedral of St. John the Baptist in Parma. 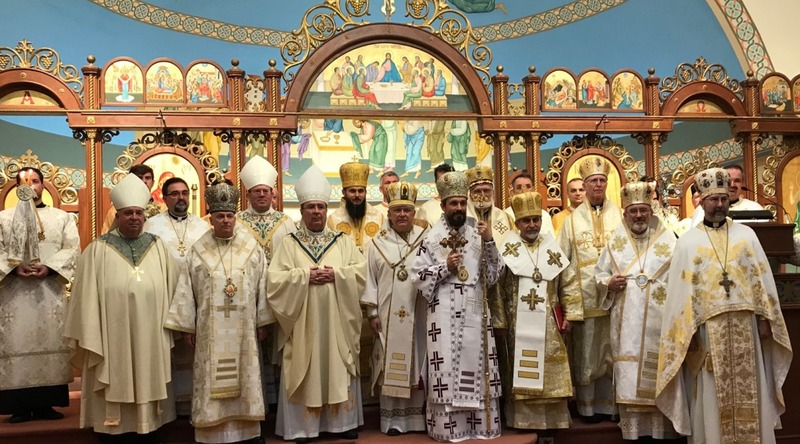 The canonical enthronement took place during the Divine Liturgy for the Feast of the Twelve Apostles. What a joy it was to be surrounded by nearly twelve bishops--successors to the Apostles--who had traveled from all over the U.S., and from Slovakia, Ukraine and Hungary, to be present. Immediately following the prayers of enthronement (see below), the priests of the eparchy and representatives from each parish were invited forward to greet Bishop Milan at his throne. Then, we were given the surprise gift of greeting him too! At the close of the Liturgy, two other bishops named Milan gave some moving words of encouragement to our Bishop Milan. Bishop Milan Chautur, bishop of Košice, Slovakia, is the bishop who had ordained Bishop Milan as a deacon and priest. He encouraged him to remain who he is, explaining that the world needs his witness. 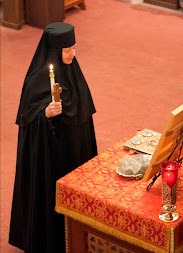 Then, Bishop Milan Šašik, bishop of the Eparchy of Mukachevo, Ukraine, and successor of Blessed Theodore Romzha (Mother Theodora's patron), explained that there is a tradition that when a young man would be sent to the war-front, his mother would give him a small icon or other holy object to take to battle with him. 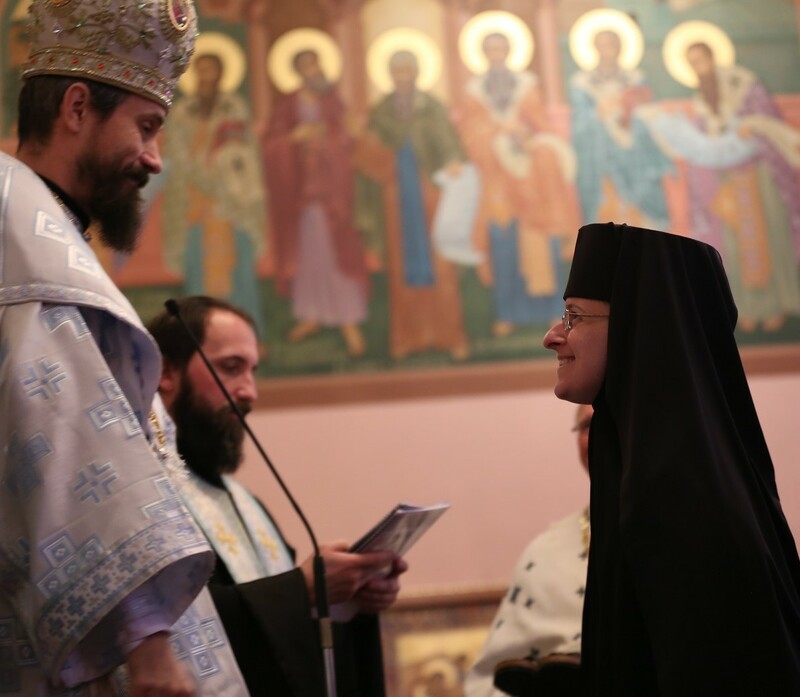 He then presented Bishop Milan with an icon of Blessed Theodore Romzha containing Blessed Theodore's relics! As Bishop Milan gives his life for us, his sheep, in this spiritual battle, may we all receive this great gift with love and obedience. 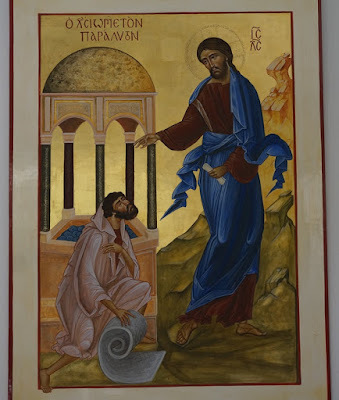 Metropolitan: O Lord Jesus Christ, our God, in your ineffable mercy, You sent Your Spirit, the Comforter, from Your Father upon Your disciples and apostles, and through them established and built up Your church throughout the world. O good Master, we beseech You, look down from heaven upon Your servant, Bishop Milan, the new chief shepherd of the Eparchy of Parma. Grant him the spirit of wisdom and understanding. Instill in his heart the spirit of fear of God, a spirit of piety and zeal for the glory of Your holy name. For You are a mercif ul and loving God, and we give glory to You, Father, Son and Holy Spirit, now and ever and forever. Metropolitan: In accordance with the instructions of the Holy See of Rome and by the authority vested in me, I enthrone you as the fifth Bishop of Parma. I confer upon you legitimate authority in spiritual and temporal matters and entrust you with the care of Christ's flock. You are to shepherd this flock in the manner of Jesus Christ, our Lord, who gave His life for His sheep so that on the day of judgment you may give a worthy account of your stewardship to Christ, our God: in the name of the Father and of the Son and of the Holy Spirit. Apostolic Nuncio: The God-loving Bishop Milan is enthroned as the fifth Bishop of the Eparchy of Parma. He is worthy! We're getting ready! Our 10th annual Girls Camp will take place this Thursday through Sunday, June 21-June 24. Please pray for us and for the participants! Our theme is "Apart from Me you can do nothing." 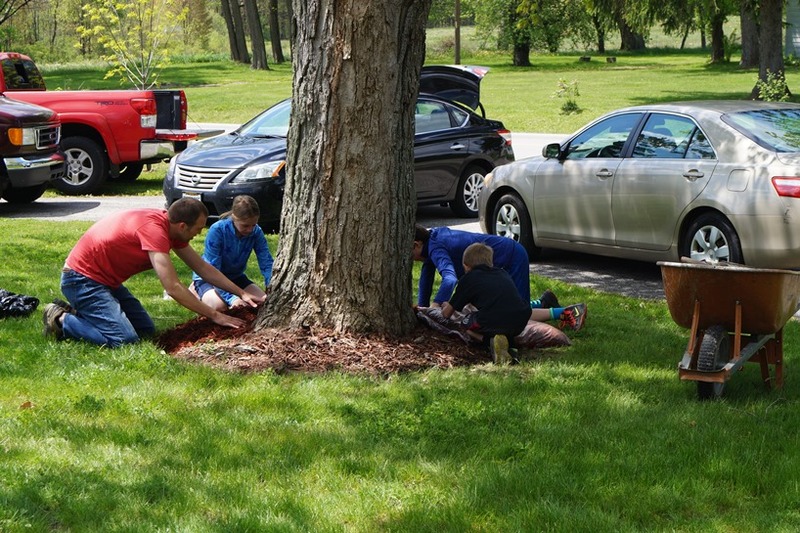 Also, please pray for the Boys Camp that will take place at the same time across the street at the Shrine of Our Lady of Mariapoch. 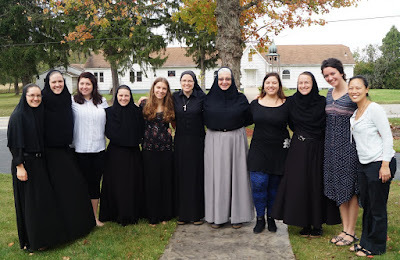 Last month, we spent an afternoon with our dear sisters from the formation house of the Mercedarian Sisters of the Blessed Sacrament. We didn't plan on it, but the video below is the result of our time of recreation together! We ended up writing a parody to the song "Hello" by the singer Adele. 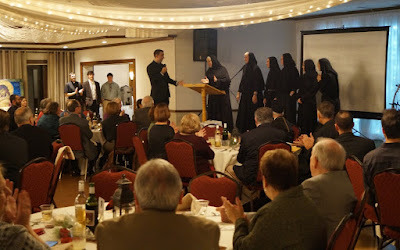 We enjoyed pointing out the fact that the Mercedarian Sisters are from the Western (Roman Catholic) Tradition and live on the west side of Cleveland, and we from the Eastern Tradition live to the east of Cleveland! It is a joy to have sisters from another tradition with whom we can share our experiences, joys and struggles. This sharing is always enriching. For a while now, we and the Mercedarians have been joking that the Mercedarians, who wear white, are the cream to our Oreo cookie :) Enjoy! UPDATE: Girls Camp is full for this year. To be put on a waiting list, email youth@parma.org or call 440-834-0290. Boys Camp is still accepting registrations. 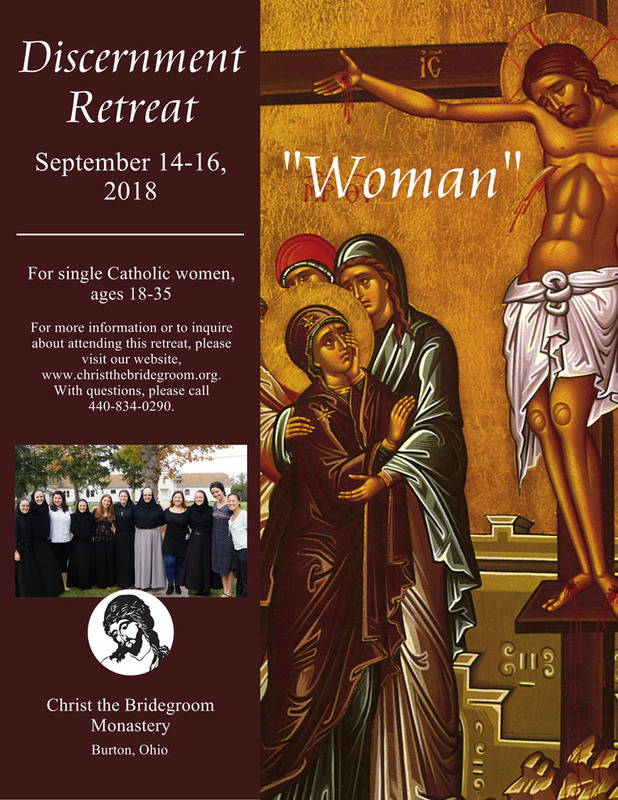 Calling all teen girls! 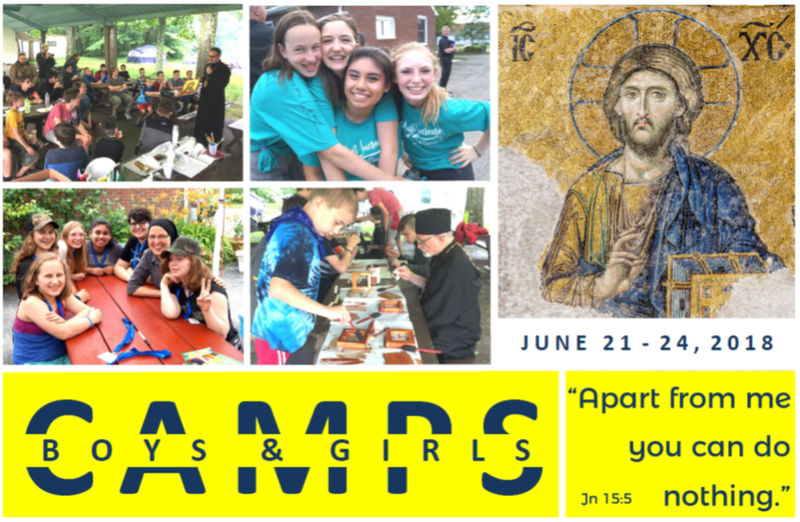 Our Girls Camp registration is now open on the Eparchy of Parma's website - and is filling up fast! Registration will be limited to 30 girls ages 13 to 18, and additional sign ups will be placed on a waiting list. Be sure to sign up soon! There will also be a Boys Camp for boys ages 8 to 18 across the street from the monastery at the Shrine of Our Lady of Mariapoch, also hosted by the eparchy. See the link below for information and to register! 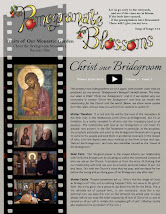 We hope you enjoy our spring issue of Pomegranate Blossoms. 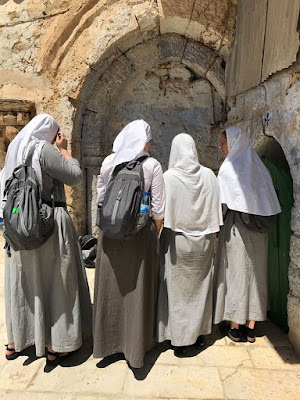 It includes a reflection from Sr. Petra her experience in the pit in which Jesus was imprisoned during His Passion, some quotes about why we prostrate, prayers with prostrations, photos from Sr. Petra's tonsure, a reflection from Sr. Petra about her connection with St. Peter, a renovation update and upcoming events. Also, don't forget about the Great Canon of St. Andrew of Crete, coming up on March 15! Please RSVP if you plan to come for dinner. In class yesterday, our teacher through the Magdala Apostolate, Fr. David Anderson, said, “Jesus is victorious not in spite of the Cross, or on the other side of the Cross, but in the Cross itself.” These words stilled my troubled heart, knotted with my struggles, my sorrows. Our lives are not fruitful in spite of, or on the other side of, our suffering; it is precisely in our sufferings that Love wins. 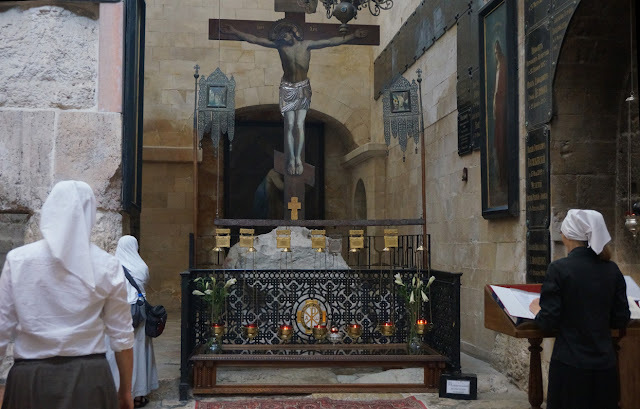 When Jesus of Nazareth, once dead, burst from that tomb in Jerusalem nearly two millennia ago, He altered the very fabric of suffering so that never more would it be meaningless. Embraced in love, our pain becomes the place of intimate union in which we become one with Divine Love. 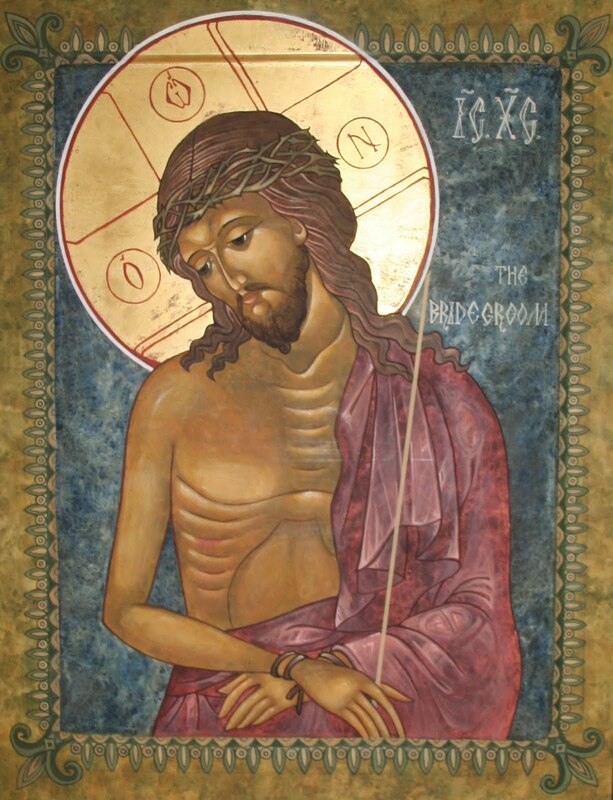 Through the Cross, Jesus hides me in His Wounds, and He enters my wounds, in a marvelous exchange of nuptial love that necessarily bears fruit (even though the fruit may be hidden). Fr. David continued, “God told Moses, ‘You can see my back, but you can’t see my face’ [Ex. 33:17-23], but when He does turn around [in the Incarnation] we see His Face and we find that God is by nature self-emptied humility in love.” By nature! This humble, self-emptying—self-giving—is the very essence of the Trinity. And we, children of God, are invited into this life of Love. We meet Love incarnate only on the Cross. Join us in a deeply-moving, once-a-year Lenten experience on Thursday, March 15, at the Cathedral of St. John the Baptist, 1900 Carlton Rd., Parma, Ohio. 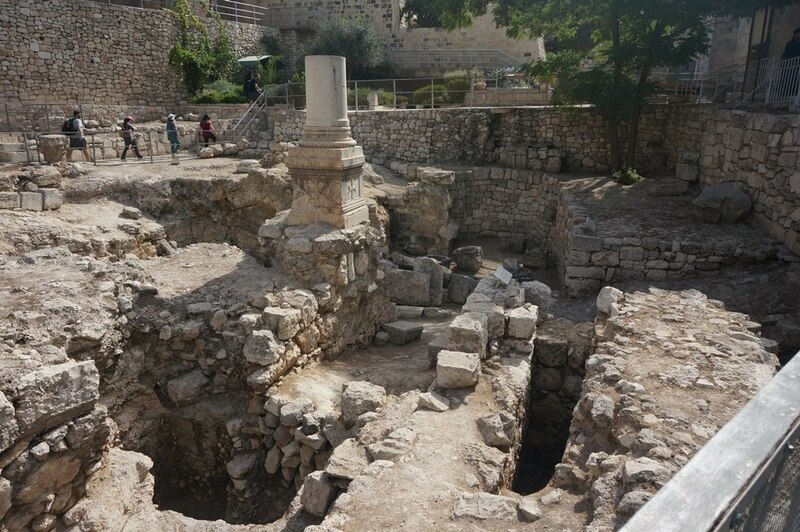 The Great Canon of St. Andrew of Crete takes us on a journey through the entire Bible, placing us in the shoes of the penitents of the Old and New Testaments and teaching us from their examples. 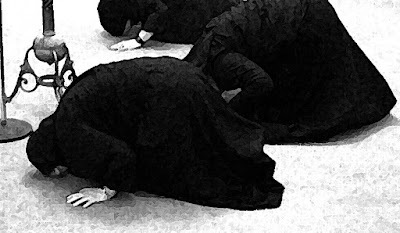 The hundreds of prostrations unite our body and soul as we repent of our sins and experience God’s mercy. We will also listen to the life of St. Mary of Egypt and venerate her relic. The opportunity for the Mystery of Holy Repentance (Confession) will also be available. 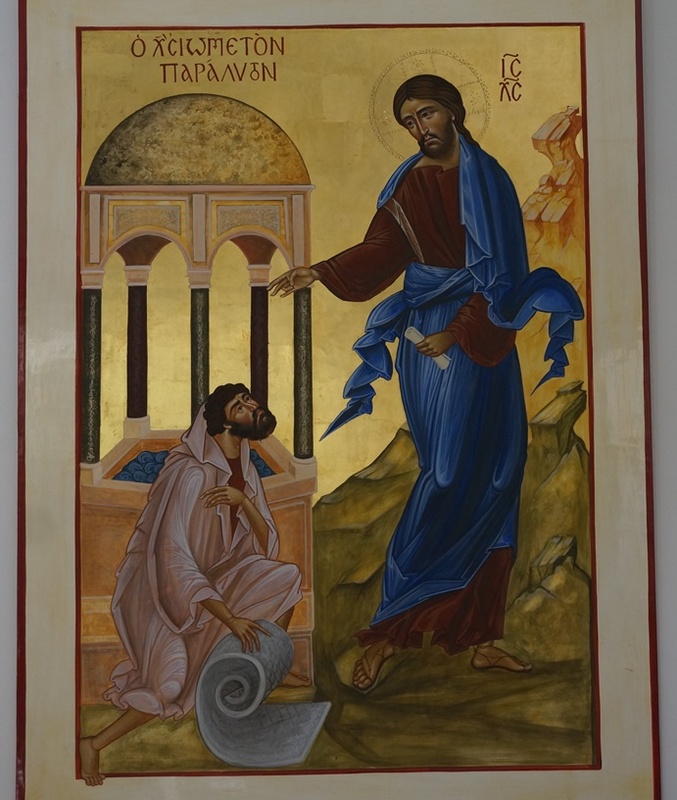 A simple Lenten meal will be served 5:00-5:45 p.m., and the Canon will begin at 6:00 p.m. All are invited to come for part or all of the Canon, even if you are not physically able to participate in the prostrations. The duration of the Canon is approximately 3.5 hours. If you plan to come for dinner, please RSVP by Friday, March 9, to 440-834-0290 or christthebridegroom@gmail.com. Sr. Petra was tonsured as a rasophore nun on Feb. 1. Enjoy these photos from her tonsure. 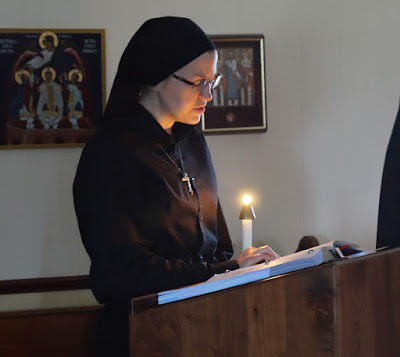 Before a dokimos is tonsured, she asks the Lord to place in her heart three names that she will submit to the Hegumena (superior of the monastery). The Hegumena then asks the Holy Spirit for guidance and clarity in choosing one of these names (or another) which the dokimos will receive at her tonsure as a sign of her new life consecrated to Christ the Bridegroom. In our monastery, the dokimos submits to the Hegumena not only the three names, but also a written explanation about each of them. Below are the thoughts that Sr. Petra submitted about St. Peter. During the past few months, St. Peter has been very present with me in prayer, teaching me Christ's faithfulness in the face of my human weaknesses and failures. As I've touched my own poverty more deeply, I could easily recoil at my unworthiness, could be tempted to flee the One Whom I love so poorly. But Peter gives me courage to remain under the merciful gaze of Jesus, confident of His love for me in the midst of my fear and failure. I understand Peter's fear of the Cross, his initial rejection of the Lord's revelation of the cost of obedience to the will of the Father. When Jesus revealed to His Apostles that He must suffer and die in Jerusalem (Mt. 16), Peter burst out, "God forbid, Lord! This shall never happen to you!" He wanted to make Jesus avoid suffering, to escape the Cross! How logical this seems. Yet Jesus rebuked Peter, "Get behind me, Satan! You are a hindrance to me; for you are not on the side of God, but of men." In other words, the urge to escape suffering is not of God. The Christian life is not about avoiding suffering; rather, it is about the reality that Love transforms suffering so that it becomes both redemptive and a means of union. Thus, Jesus continued, "If any man would come after me, let him deny himself and take up his cross and follow Me. For whoever loses his life for My sake will find it." On a natural level, I respond to suffering, to the Cross, the same way as Peter. 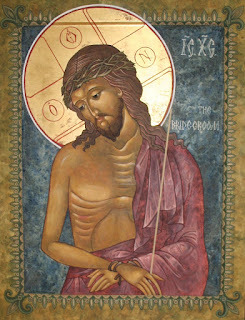 Yet something—perhaps witnessing the Resurrection of Jesus, perhaps being embraced by His gaze of love after his denial and abandonment of Him, perhaps receiving the outpouring of the Holy Spirit (or, likely, all of the above)—converted Peter's heart so that he would later have the courage to climb up on his own cross and pour out his blood, in imitation of His Beloved. Here, in between the experience of my own fear and weakness, and my desire to respond to Jesus' love in kind, Peter comes alongside me and intercedes that my heart, too, would be changed, infused with supernatural love and trust. After the Resurrection, after he had denied and abandoned his Friend and Master, Jesus met His disciples on the shore of the Sea of Galilee and called Peter apart, asking him three times if he loved Him. Keenly aware of his unfaithful denial, Peter neither tried to defensively excuse himself, nor did he count himself out of Christ's merciful Love in a spirit of self-condemnation (as had Judas). Rather, he referred his love to Jesus' knowledge, laying open his poor heart to Christ's omniscient gaze: "Lord, You know everything—You know I love You." He also knows everything about me: He knows my sins, my past, my secret selfishness, the shabbiness of my love, my weakness, my wandering heart that is always looking for a resting place among mere creatures. He knows my fear, my reluctance to suffer, the ways I've tried to avoid His Cross. And yet, He also knows that I love Him, so He continually renews His call on my life to follow Him. "I know whom I have chosen," Jesus said at the Last Supper, fully cognizant of what would follow (Jn 13:18). Jesus knows me, too, the woman He has chosen. I can trust that I can't disillusion Him so that He removes His love from me. He knows me, loves me, calls me—calls me by name! Peter's faith in the Resurrection taught him to embrace suffering, especially the suffering of violence and persecution, even unto martyrdom. The man who ran from the Cross would later run to the Cross! He writes of this hope in his first epistle: "We have been born anew to a living hope through the resurrection of Jesus Christ from the dead...In this you rejoice, though now for a little while you may have to suffer various trials...For one is approved if, mindful of God, he endures pain while suffering unjustly...For to this you have been called, because Christ also suffered for you, leaving you an example, that you should follow in His steps...By His wounds you have been healed...Do not return evil for evil." This fisherman from Galilee was chosen to be the chief shepherd of Christ's Church on earth; his successors continue to guard the Faith built on the rock of Peter. He is a tremendous intercessor for the unity of the Body of Christ, having heard Jesus' high priestly prayer "that they may be one, even as You, Father, are in Me, and I in You" (Jn 17:21). As we shared in our last post, the newest member of our community was tonsured as a rasophore nun on Feb. 1. This video includes the blessing of the habit, the giving of Sr. Petra's new name, her tonsure and a beautiful homily by Bishop Milan. 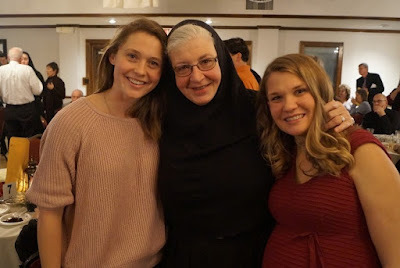 On Feb. 1, during Vespers for the feast of the Meeting of Our Lord with Simeon and Anna, dokimos (postulant) Sara Lynn Gafford was tonsured as a rasophore ("robe-bearer") nun, receiving the habit and a new name: Sr. Petra. She is named after the apostle Peter. She was tonsured (four small segments of her hair were cut, in the sign of the cross) by Bishop Milan Lach, our apostolic administrator. 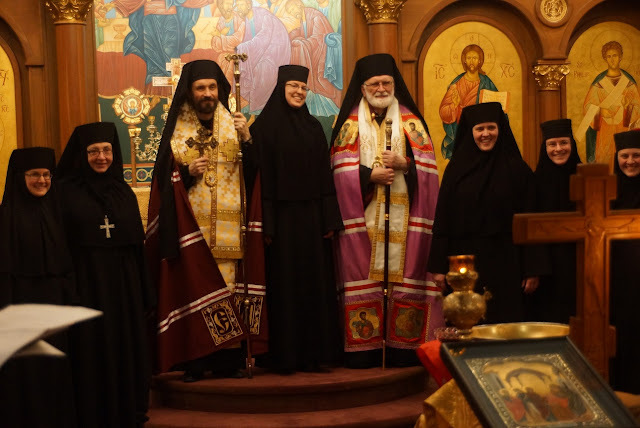 Our founding bishop and bishop emeritus of our eparchy, Bishop John Kudrick, was also present. The tonsure took place at St. Stephen Byzantine Catholic Church in Euclid, Ohio. 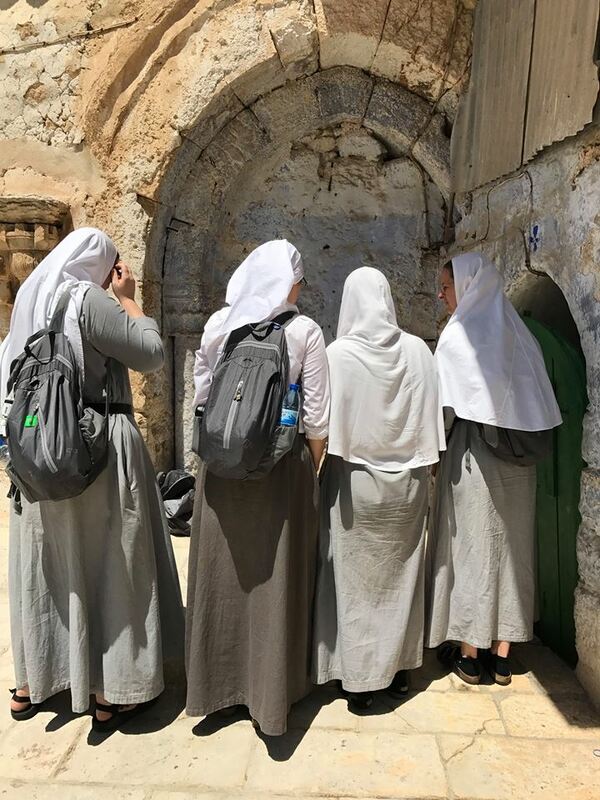 We look forward to sharing more about the tonsure in the near future, including photos and Sr. Petra's reflection on her name. 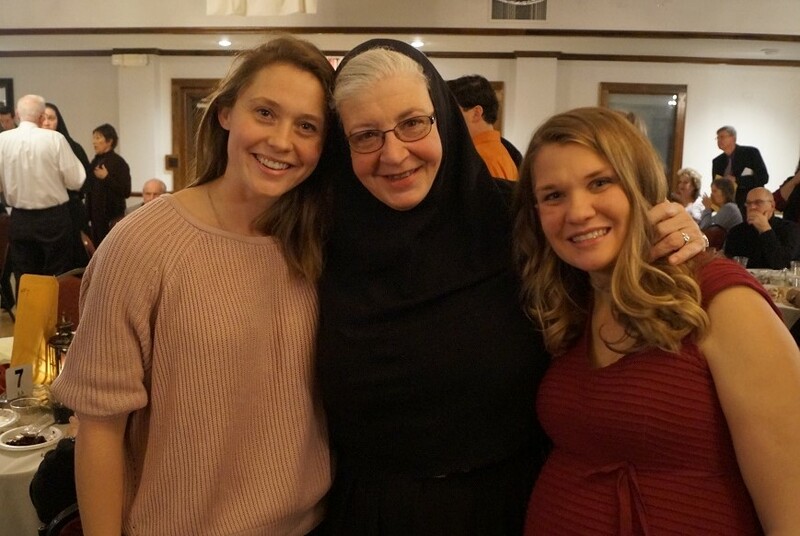 Please keep Sr. Petra in your prayers as she grows in the monastic life and continues her discernment (3-4 years leading to life profession). 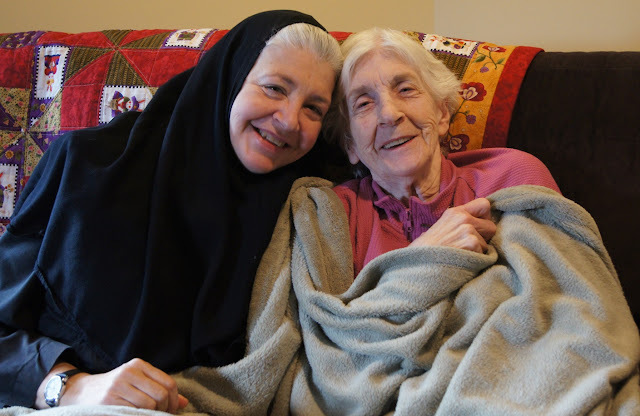 Mother Theodora's mother, Rita Strohmeyer, fell asleep in the Lord on Saturday, January 13. She was 85. Rita was the mother of 11 children, Mother Theodora being the fifth. We all enjoyed Rita's smiles and sense of humor, even in her final years as she suffered from Alzheimer's disease. Please keep Mother and her family in your prayers. 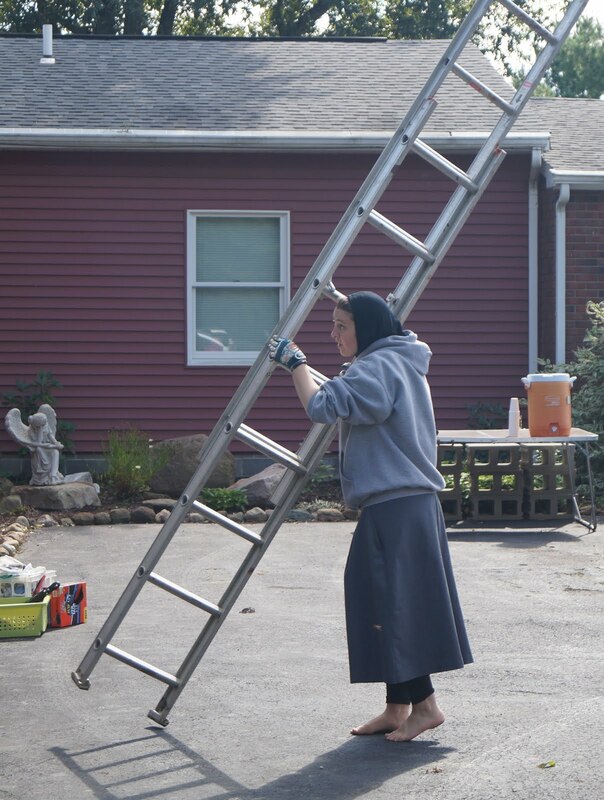 May God grant eternal repose to the soul of His servant, Rita! 356 S Belle Vista Ave.
"Come and behold the place of the baptism of Christ..."
Happy Feast of Theophany! In this photo, Fr. 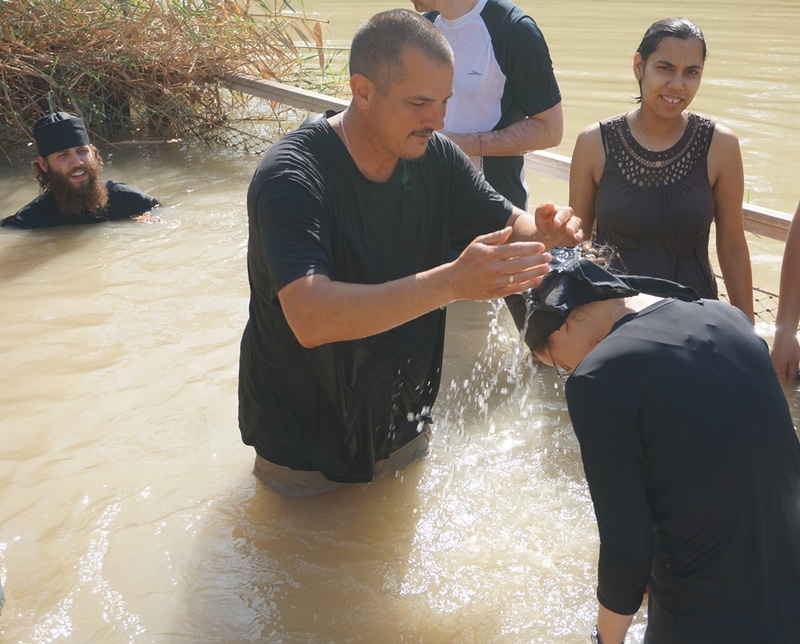 Sebastian Carnazzo blesses us with the water of the Jordan River during our July 2017 pilgrimage to the Holy Land. 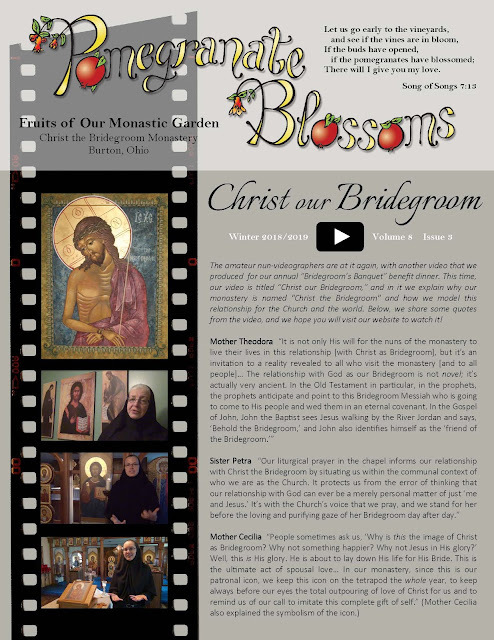 Enjoy our winter edition of Pomegranate Blossoms! May this new year be filled with many blessings for you and your loved ones.